Cruise across the river for a day trip to Kent! Sailing from Southend pier to Gravesend, Rochester, Chatham and the Red Sand Towers from April 2018. Operated by Jetstream Tours. Grab a chance to vist one of the many fantastic riverside towns aboard our fantastic River cruiser. With day trips to Gravesend, Rochester, Chatham Dockyard and the Red sand Towers, there really is pleanty to see and do. Take a day out for sightseeing at some of Kent’s hidden treasures, and maybe do a spot of shopping, trying out the local restaurants or bars or join us for a fun filled trip to the Dockyard festivals. All trips to and from Southend include Pier entry within your boat ticket. Due to the boarding arrangments at Southend Pier it is currently not possible to board wheelchairs or scooters. This is due to the pier height from the water and the nessessity to board via the intertidal public slipway. At low water this slipway can be slippery and may have aslight covering of seaweed although, if you are able to walk/climb a flight of stairs unassisted then joining the vessel will not be an issue. (Please see banner photo above with reference to the steepness of the ramp at low water). Prams/Pushchairs must be left at the top of the pier and will be loaded by a crew member. 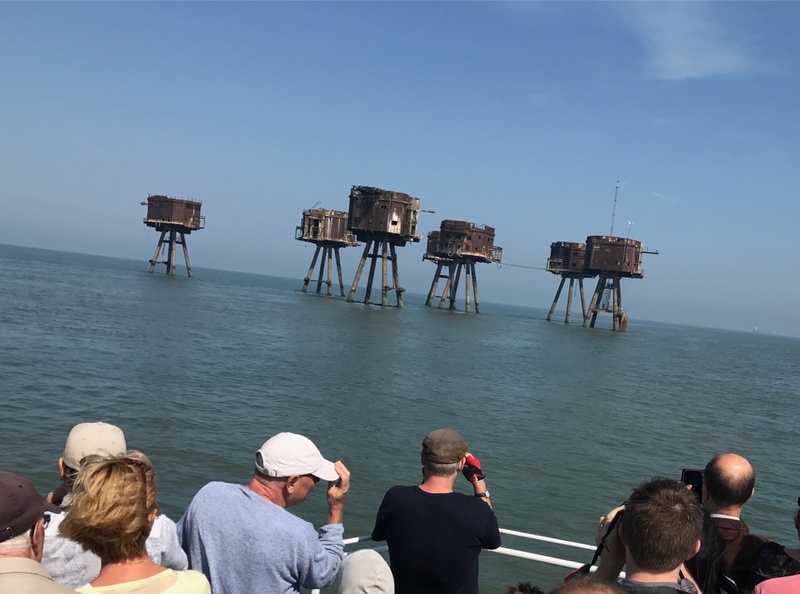 Take a three hour cruise from Southend Pier to the Eerie World War 2 Maunsel forts , called the Red sand Towers. These Historic monuments stand in the estuary some 9 miles from Southend and 5 Miles from Whitstable. It will take approximately an hour to reach the Towers and will pass by the Mulbury Harbour (Pheonix unit) and Shoebury boom before crossing the Shipping channel towards the Isle of Sheppey. If your an avid photographer, grab your long lenses to see if you can snap photos of the Pregrine Falcons. Upon our return we will pass via the SS. Richard Montgomery before crossing back towards Southend PIer. Set out from Southend Pier and cross the estuary, passing by the SS. Richard Montgomery to take a day out to experience Rochester. Shop for vintage bargains and treasures within the various independent shops, quirky boutiques have a spot of lunch or even the visit Rochester Castle and the Cathedral. Purchase your entry tickets prior to checkout and we will drop you directly into the dockyard. There is no waiting to queue at the entrance, the dockyard's pier drops you in the heart of the action right next to HMS Cavalier, where you will be able to explore the various Historical ships, the set of Call the Midwife and make your own rope. We will pass you a map of the site upon boarding so that you can plan your route around the various displays and museum's prior to arrival. Just make sure you return to the pier for your departure allocated time. **if you do not have a dockyard entry ticket you must remain on the boat until Rochester Pier. Tickets will not be available to buy on the boat. NOTE: All departures are subject to weather and sea state. If cancellation is nessessary, you will be notified no later than 2000pm the night before departure and will be offered an alternative date. 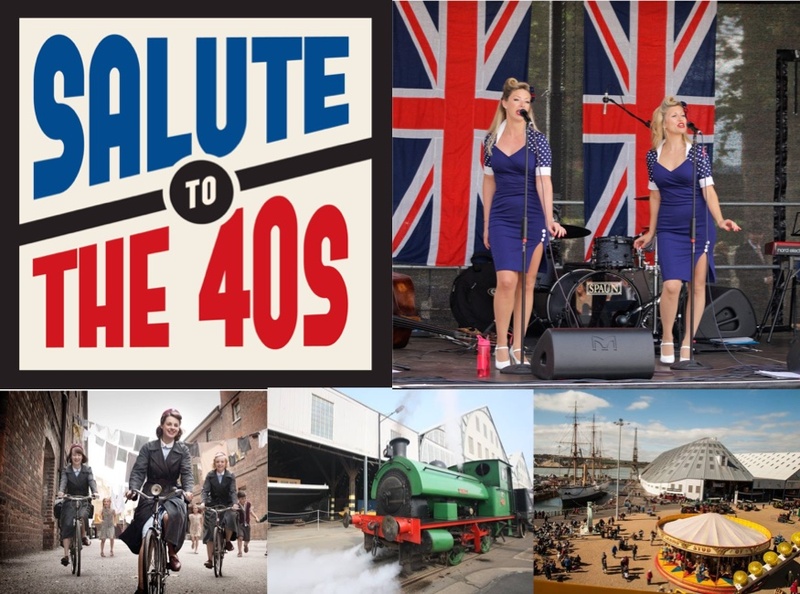 This is an exclusive trip to the Dockard to experience this annual 1940's event. Arriving at the dockyard by boat will enable you to bypass the crowds at the gate and be dropped right at the heart of the activities. This cruise will get you all singing along to Dame Vera lynn as we make history by cross the Thames and sialing up the Medway. Passing by numerous other WW2 monuments including the SS. Richard Momntgomery and the Medway's forts that once were observation posts during the Blitz. Arriving at Gravesend Town Pier, spend the day exploring, shopping and eating. Gravesend boasts one of the oldest Chartered Borough Markets in Kent which celebrates its 750th birthday in 2018. Head to the high street for more well-known shops with some independent hidden gems within the mix. 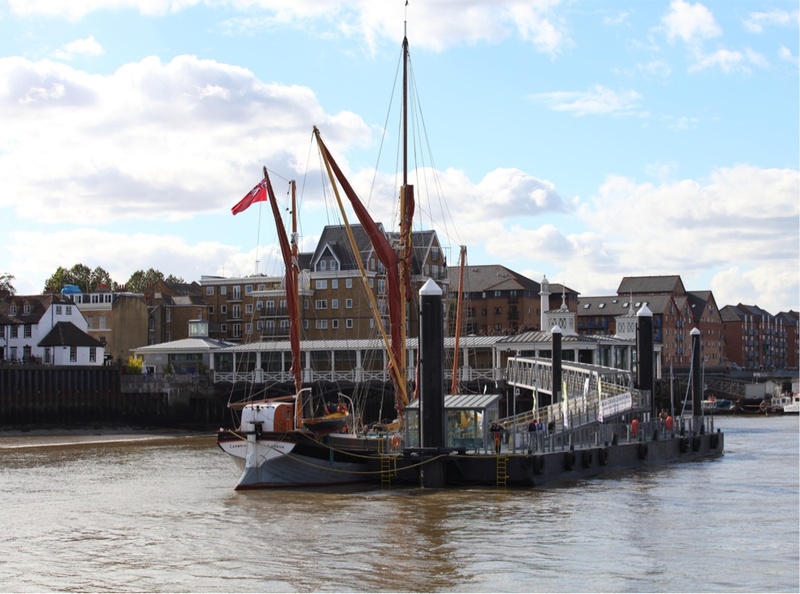 Or why not check out the towns historic and cultural points of interest, including, the resting place of Princess Pocahontas at St George’s Church, Cold War Bunker, Gurdwara- Europe’s largest Sikh place of worship or head to LV21 a historic 40 metre steel-hulled lightship transformed into a floating art space and performance facility. We have a fully equiped bar onboard selling a variety of refreshments!